And our political process has remained largely underdeveloped. Indeed, the relationship between the courts and politics in Nigeria has become poisonous. Though electoral contestations taken to Election Tribunals were significantly fewer in 2011 and 2015 than was the case in 2007 – thanks to a maturing Independent National Electoral Commission (INEC) and the introduction of Permanent Voters Cards and Card Readers in 2015 – most of the post-election cases taken to the courts would still fall into the category of seeking judicial answers to political questions. And then, there have been the innovations of seeking judicial answers to intra-party conflicts: the political controversy within the ruling All Progressives Congress (APC) over the election of the Senate President in the 8th National Assembly (abandoned after a political “settlement”) and the intra-party conflict within the Peoples Democratic Party (PDP) that was only resolved at the level of the Supreme Court after the interventions of High Courts and an Appeal Court barely one year to 2019 elections. In the aftermath of the numerous verdicts at the various court levels – Election Tribunals, Courts of Appeal and Supreme Court – following the 2007 election cycle, two interventions illustrate the challenge of seeking judicial answers to political questions. 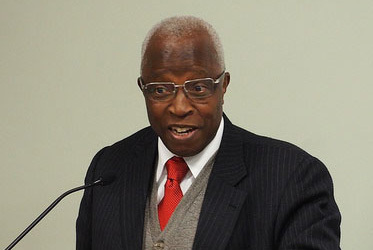 First, a former Chief Justice, Alfa Belgore, gave the following counsel with respect to a significant number of appeals from the Election Tribunals pending before the Courts of Appeal: “There is no justice in technicalities …If you don’t want a dictatorship that will lead to anarchy and destroy everything you hope for, the judiciary must be up to its responsibility” (The Nation, April 10th 2007). Second and more specific was the Supreme Court’s observation after voiding the candidature of the presumed winner of the governorship election in Rivers State in 2007 and “awarding” victory to “disqualified” candidate Rotimi Amaechi: “The political parties in Nigeria are the creation of the constitution; they therefore have an important stake in flying high and loftily the banner of the rule of law. In this case, the PDP did not live up to that standard. It did everything possible to subvert the rule of law …hold the court before the general public as supine and irrelevant. Sadly, the Independent National Electoral Commission (INEC) …also did the same.” In plain terms, the apex court identified political parties and INEC as sick governance institutions. Again, in June/July 2016, there was a flashback to the Rotimi Amaechi case in Abia State. The case involved incumbent Governor Ikpeazu and “Governor-elect” Ogah (armed with INEC’s certificate of return), due to contradictory verdicts by a federal High Court in Abuja and a High Court in Abia State. The contestation was over who was PDP’s valid candidate in 2015 governorship election. As was the case in 2007, the courts got involved in validating candidate selection for election. (Governor Ikpeazu triumphed while Ogah’s “certificate of return” became worthless). Fast forward to the 2019 election cycle, beginning from the build-up during the second half of 2018. The sickness of political parties that was flagged by the Supreme Court in the 2007 case had worsened during the following decade as the courts were dragged into the selection of candidates for governorship and National Assembly (NASS) elections by a significant number of political actors in the two major parties, APC and PDP. And in the Social Democratic Party (SDP) – one of the so-called “alternative” parties – it was the selection of its presidential candidate. All this constitutes strong evidence of weak internal democratic processes within the political parties. By early February – barely two weeks to the presidential and NASS elections and less than one month to the governorship elections – some political actors were still asking courts to determine whether or not they would be candidates. Mercifully, 14 pre-election appeals relating to candidates seeking to contest the 2019 elections were struck out on January 23rd at the Supreme Court because they were no longer valid following the expiration of 60-day constitutional time limit (see The Nation, January 24th 2019). Based on reports in the print media, the loss of credibility of the judiciary since 2007 is linked, to a considerable extent, to the corrupt practices associated with the activities of the courts in handling election petitions, beginning from Election Tribunals through High Courts and Federal Appeals Courts to the Supreme Court. The humongous amounts of money found at the residences of two Supreme Court judges and three High Court judges charged with corruption in late 2016 are widely presumed to be partly loots collected during their handling of election petitions. Given the corrupt practices (proven and alleged) that have been associated with post-election contestations from the level of Election Tribunals to the Supreme Court, it is very likely that varying degrees of corrupt practices have occurred during the involvement of courts in the contestations over candidate selection for the 2019 election cycle. Above all, evidence of a judiciary undermined is provided by the on-going debate on the suspension of Chief Justice WSN Onnoghen. On the one hand, president Buhari claims to have based his decision on the “order” he received from the Code of Conduct Tribunal. On the other hand, anticipatory linkage of the president’s action to possible post-election contestation that would end up at the Supreme Court is a widespread viewpoint in the print media and it is shared by many national and several international observers of electoral politics in Nigeria. Chief Justice WSN Onnoghen saga also points up a worrisome dimension of the country’s political underdevelopment. Following what could be called an Executive versus Judiciary problem, the leadership of the Senate (atop the Legislative arm) filed a suit before the Supreme Court to challenge the president’s suspension of the CJN. Thus, over a few days in early February, all three arms of government were literally at war: Executive v Judiciary and Legislative v Executive. This evidence of unhealthy key governance institutions is a pointer to the underdevelopment of the country’s political process. The extensive involvement of courts in the country’s political process is almost certainly linked to the following assertion of a Supreme Court justice that was cited earlier: “political parties in Nigeria are the creation of the constitution”. Although Nigeria’s presidential system of government was modelled on that of the United States, it departs significantly from it with respect to numerous constitutional provisions on political parties in contrast to the US constitution that does not mention political parties. There is urgent need to amend the 1999 Constitution to remove provisions that make political parties “the creation of the constitution”, thereby limiting the involvement of courts in the political process to issues that would be similar to those found in democracies world-wide. The unique extensive provisions on political parties in our 1999 Constitution constitute bad practice that should be abandoned. Furthermore, I would argue that the country’s weak party system that has persisted since 1999 is the major explanatory factor for the underdevelopment of the political process. The following two remedial measures (slightly edited) were highlighted in an earlier essay on the subject in this series, “Understanding Nigeria’s Weak Party System” (Vanguard, March 16th & 21st 2018). A radical pruning of the provisions on political parties in the 1999 Constitution as contained in Part III, D – Political Parties (Articles 221 – 229). All matters that fall more appropriately in the domain of law should be removed, thereby avoiding the tedious procedures for amending constitutional provisions. And I added that the unenforceable of the constitutional provisions on democratic practices within parties as well as on transparency and accountability in party finance further underscore the need to expunge them. The involvement of independent candidates in elections that Uwais Commission sensibly recommended in 2007 – which I strongly support – has the potential to increase the number of politicians for whom politics is a vocation for service; they will live for politics unlike the current majority of politicians who live off politics: for them politics is a business where you make mind-bogglingly returns. Specifically, independent candidates are very likely to add a focus on ideas and principles into political competition that has been largely lacking since 1999. This is a remedial measure that could make a difference in the outcomes of electoral competitions at the levels of local government councils and state houses of Assembly in the short term. And within a decade or so, we could have independent candidates in the National Assembly.